The Colbert Report | What's On Tonight? The Colbert Report is an American satirical late night television program that airs Monday through Thursday on Comedy Central. It stars political humorist Stephen Colbert, a former correspondent for The Daily Show with Jon Stewart. The Colbert Report is a spin-off from and counterpart to The Daily Show that comments on politics and the media in a similar way. It satirizes conservative personality-driven political pundit programs, particularly Fox News’ The O’Reilly Factor. 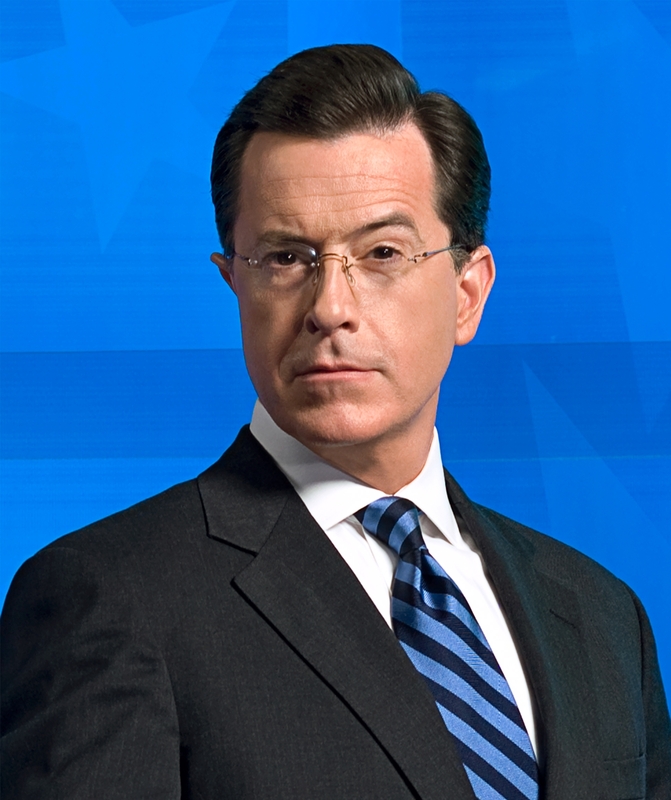 The show focuses on a fictional anchorman character named Stephen Colbert, played by his real-life namesake. The character, described by Colbert as a “well-intentioned, poorly informed, high-status idiot”, is a caricature of televised political pundits. The Colbert Report has been nominated for seven Primetime Emmy Awards each in 2006, 2007, 2008, 2009, 2010, 2011, and 2012, two Television Critics Association Awards Awards, and two Satellite Awards. In 2013, it won two Emmys (Outstanding Variety Series and Outstanding Writing for a Variety Series). It has been presented as non-satirical journalism in several instances, including by the Tom DeLay Legal Defense Trust and by Robert Wexler following his interview on the program. The Report received considerable media coverage following its debut on October 17, 2005, for Colbert’s coining of the term “truthiness”, which dictionary publisher Merriam-Webster named its 2006 Word of the Year. The Report has had cultural influence in a number of ways. In 2006, Colbert won an online poll to name a bridge in Hungary, although after a visit from the Hungarian Ambassador it was announced that the bridge would not be named after him. Colbert has mobilized viewers to participate in numerous other such polls, including the Time 100 online poll, a contest to name an International Space Station module (which Colbert did not ultimately win but received an honorable mention in the form of a treadmill) and attempting to pressure Sweden’s tourism bureau into giving Colbert access to the Twitter account @Sweden. The show’s “Better Know a District” segment also received attention after Democratic Party leaders including Nancy Pelosi and Rahm Emanuel warned freshmen Representatives from appearing on the show, a moratorium lasting until Pelosi took back her statement in exchange for Colbert’s support of the DISCLOSE Act. Stephen Tyrone Colbert (born May 13, 1964) is an American political satirist, writer, comedian, television host, and actor. Colbert originally studied to be an actor, but became interested in improvisational theatre when he met famed Second City director Del Close while attending Northwestern University. He first performed professionally as an understudy for Steve Carell at Second City Chicago; among his troupe mates were comedians Paul Dinello and Amy Sedaris, with whom he developed the sketch comedy series Exit 57. His work as a correspondent on Comedy Central’s news-parody series The Daily Show first introduced him to a wide audience. In 2005 he left The Daily Show with Jon Stewart to host a spin-off series, The Colbert Report. 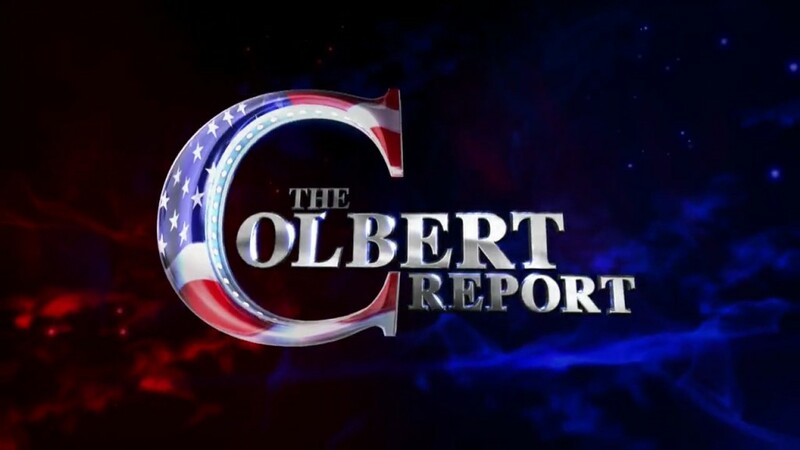 Following The Daily Show’s news-parody concept, The Colbert Report is a parody of personality-driven political opinion shows such as The O’Reilly Factor. Since its debut, the series has established itself as one of Comedy Central’s highest-rated series, earning Colbert three Emmy Award nominations and an invitation to perform as featured entertainer at the White House Correspondents’ Association Dinner in 2006. Colbert was named one of Time’s 100 most influential people in 2006 and 2012. His book I Am America (And So Can You!) was No. 1 on The New York Times Best Seller list.